In the process of researching different franchises, you may come across the term "turnkey business opportunity." While some franchises are billed as turnkey, there are some notable differences between these and turnkey business opportunities. Here are some things to know when considering a turnkey business opportunity. With a turnkey solution, the preparation work of starting a business is done for you. 1. What is a turnkey business opportunity? A turnkey business opportunity is set up to include everything an owner needs to get started in the business. This includes the business model, permits, name, location, equipment, and inventory. 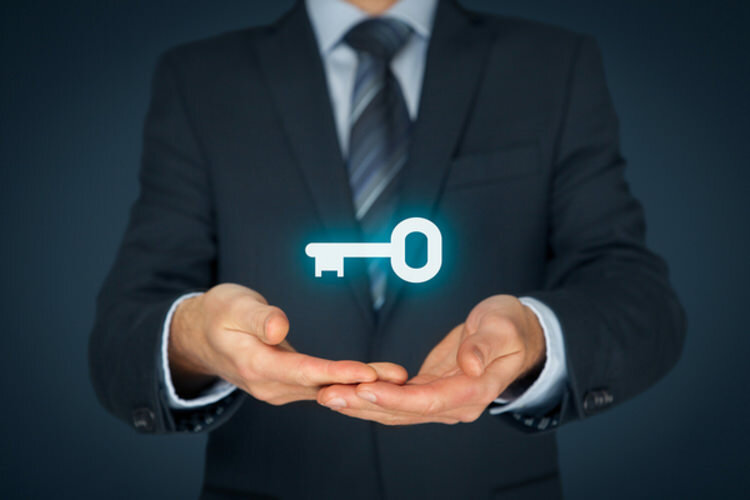 Ideally, all the buyer needs to do is "turn the key" and open the door to get the business up and running. In most cases, though, the turnkey business owner will have to hire staff if needed before opening. 2. How is a turnkey business different from a franchise? Although some franchises are identified as turnkey, a non-franchise turnkey business will not have ongoing royalty fees after the initial cost to purchase, and will not require the business owner to follow regulations and guidelines for how to run the business. The turnkey operator will own the business and have freedom to operate it as he or she sees fit, but will not get the ongoing support and help that a franchisor offers. 3. What is the difference between a true turnkey opportunity and a partial turnkey program? A true turnkey opportunity provides everything that is needed to open or take over the business (except hiring staff in most cases). A partial turnkey program will provide some or most of what is needed but will rely on the business owner to take care of the rest. Be sure you have a good understanding (in writing) of what you are getting when you purchase a turnkey operation so you know what you will be responsible for in order to open the business. 4. Is everything really included in a true turnkey package? Other than possibly hiring staff, it should be. There are all kinds of business opportunities out there, with many variations that use the term "turnkey." That's why it's important to know exactly what you're getting before you buy a business opportunity. A true turnkey package should provide the entire business from concept to application. This is why turnkey businesses often cost more than other types -- you are paying for the labor it took to put the opportunity together and get it ready for you to turn the key and start or take over the business. That being said, a turkey operation only promises to get the business open. Providing good customer service and marketing the business are the owner's job. Just be leery of opportunities that want to charge you a turnkey price while not providing a true turnkey business. 5. What are the advantages of a turnkey business opportunity? Preparing to open a business can take hundreds of hours and delay opening for weeks or months, while a turnkey operation is ready to go now. Another advantage is the freedom from all the restrictions a franchise puts on the business (although those are intended to help the business be successful). Not having to pay royalties can also be a plus, although the flip side is no ongoing support from a franchisor. The risk of a turnkey business may be slightly higher than for a franchisee because of the lack of ongoing support, but the lack of royalties can improve the profit margin and lower the risk sometimes, as well. Turnkey businesses are often less costly overall than franchises despite the markup for turnkey services. Name recognition and an established reputation are other advantages of many turnkey operations, and can make marketing efforts easier once the business opens. People are much more likely to patronize a business they've heard of before. 6. What should I watch out for? In some cases, the seller will charge a high markup for the services provided to get the business up and running. To find out whether or not you're getting a fair deal you can do one of two things: ask other turnkey operators whether they feel like they got a good deal, or ask the seller for a complete breakdown of the deal, including markups. You should also know all the terms of your agreement and whether it is a turnkey franchise with ongoing fees, royalties, and support; or a turnkey business opportunity, with initial costs but nothing ongoing. If you are depending on group purchasing for ongoing inventory and supplies, make sure you are getting favorable terms and not being overcharged. 7. What are some popular types of turnkey opportunities? Turnkey opportunities exist in many different areas. Some may be internet-based, with a ready-to-go website and products to sell. Others may be in real estate with apartment buildings or offices to manage that may already have tenants in them. Service businesses like painters, cleaners and financial service providers can be other examples of turnkey opportunities. Almost any franchise opportunity could be set up as a turnkey business, either stand alone or a turnkey franchise. 8. How do I choose the right turnkey opportunity? There are several steps to take in choosing a turnkey opportunity that will work for you. Doing research into the company and the opportunity is a vital step for any potential businessperson. Do you have enough capital, or a way to get enough? Is the company sufficiently established, and are the terms of the deal offered favorable? There are many facets to the purchase of any business, and they must all be weighed during the research process. Considering the business and whether you have the expertise and passion to make it work is also important. Can you see yourself in this business in 5 or 10 years, happy and content? Can you give the business what it needs to succeed? Turnkey business opportunities are becoming more popular, both inside and outside of franchising. Owners want to get started now, and would rather pay someone else to do the work so they can open and start making money faster. Check out some business opportunity franchises to see how Franchise Gator can help you get started in your own turnkey business.